FIFTY TWO: The information. – Folks, whack 'em. I was browsing for ideas for a post, when my friend who majors in Graphic Design at George Mason University, asked me if I could help her infographic project. I happily said yes because she’s one of the few people that share the same art style and perspective as mine. She would criticize my work and I would criticize hers. Back and forth, back and forth, since 2012. 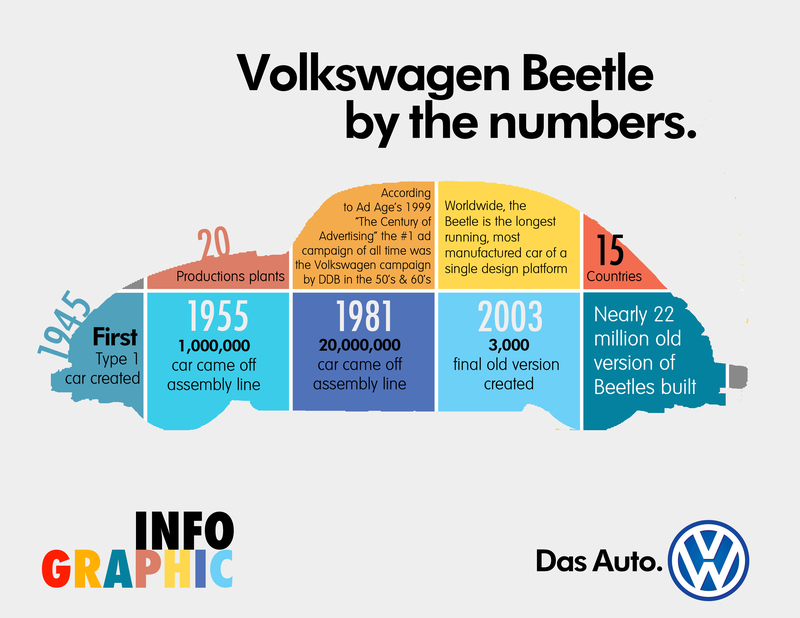 She told me that most of infographic she’s seen around isn’t pretty enough to our “standards.” Then, she suggested a post to create an infographic about Volkswagen. Challenge accepted. To be honest with you, making this infographic took me almost 5 hours. It was really hard to fit all of the information to a single page. I based the information and the visual style from these two images. Definitely not as pretty nor informative as my sources but I tried. I really did. And I’m happy with my result because this is my first infographic attempt! So, yeah! Those are pretty sweet. They look very clean and well put together. I can see the (innovative) design in the work.